I read an article a few months ago about the almonds in California being washed and sterilized before selling them to the mass population for fear of salmonella outbreaks, though Organic companies seem to not have a problem with outbreaks. But, as I continued reading, I couldn’t get the word sterilization out of my head, it kept creeping back in, along with the possible ramifications. Can the sterilization of our food and the mass consumption of GMO’s, the 60,000 pounds of daily nourishment the average person eats in a lifetime, lead us down a path of no return? How does sterilizing our food affect the human body? 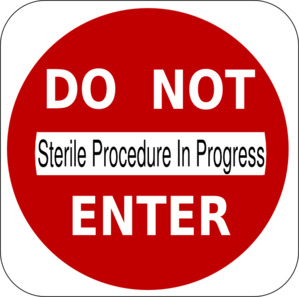 Can consuming Genetically Modified food lead to sterility? Then you have the GMO salmon, which is designed to be sterile, grow abnormally large, have impaired swimming ability; with risks to your health & environment. President Obama insists on eating organic food, yet over Christmas break he and the FDA signed the bill that silently gave the go ahead for consumption of GMO Salmon; the first Genetically Modified animal product approved for human consumption – coming to a store and dinner table near you. This fish has: two types of salmon DNA and the DNA of an eel fish, it’s made in a petri dish, grows twice as fast, in half the amount of time, and again, no testing for long-term GMO effects on humans or the possible detrimental effects on our eco-system. Since Congress, President Obama, and the FDA do not think we have the ‘right to know’ what we are eating, this salmon goes completely unlabeled, as does food with GMO ingredients. The peculiarity of the situation is that our fish is already being labeled wild or farmed, so why not GMO as well? The FDA ‘deep pockets’ apparently deems it unnecessary as they do testing and choose instead to force feed it to the American public and roll the dice. This all seems a little fishy to me… no pun intended. Oh and let’s not forget about the meat industry, is it a wonder why we are sick, obese & generally unhappy? 4/5ths of all drugs sold in our country are bought by the meat industry and pumped into the animals we eat. Not to mention they are fed with GMO food. Last but not least, we have the world of trans fats and hydrogenated oils, which is the worst fat of them all. What is trans fat in: Commercial baked goods, fried foods, shortenings and some margarines can be high in trans fat. So here you go fast food nation. Now, the words that really stand out to me in this definition are “unable to support life”. So to recap here, the future of our food is “unable to support life” and genetically modified which has been proven in lab animals to cause sterility. Eating food that is sterile reminds me of the movie, Children of Men, where human beings in the future can no longer have babies because the whole population is sterile and no one knows why. I think we have found many culprits, yet so many out there still refuse to believe that food is causing them to get sick. We have gotten so far from whole natural foods in our obese society and use to fake, over processed food instead. It is a sad state that we are in and for your future or for the future of your generations, Change Starts One Person at a Time and that Person is You. This motto makes me chuckle and not in a good way. I am having a hard time believing that Monsanto has the good of the farmers or any other human being in mind beside themselves. GMO is bad people, it really is. The fact that there has been no substantial testing done by this irresponsible company, who makes billions in revenue off the possible detriment of fellow Americans, should be sending up HUGE red flags. We are their human guinea pigs, plain and simple. We once were told that asbestos was safe as well.